Every young minister needs encouragement and hope. Every young man in ministry needs someone “in his corner” cheering him on, encouraging him to press forward, and uplifting him in the battle. 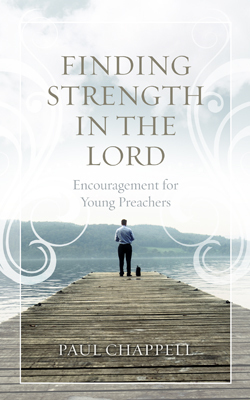 Written from the heart of a seasoned leader and pastor, these pages are designed to encourage and strengthen the hearts of younger men who are serving God with their lives. Whether you have recently entered the ministry or are soon planning to, this booklet will help you to prepare for battle. It will challenge you to develop a heart that is fully dependent upon the strength of the Lord. May these pages breathe fresh strength into your spiritual life!